Honors students spent a lovely evening unwinding from midterms at Lincoln Center’s New York Philharmonic on Thursday, October 30th. Our first cultural event of the semester was a success, as students enjoyed a program of Copland, Rouse, and Ravel, directed by Leonard Slatkin. 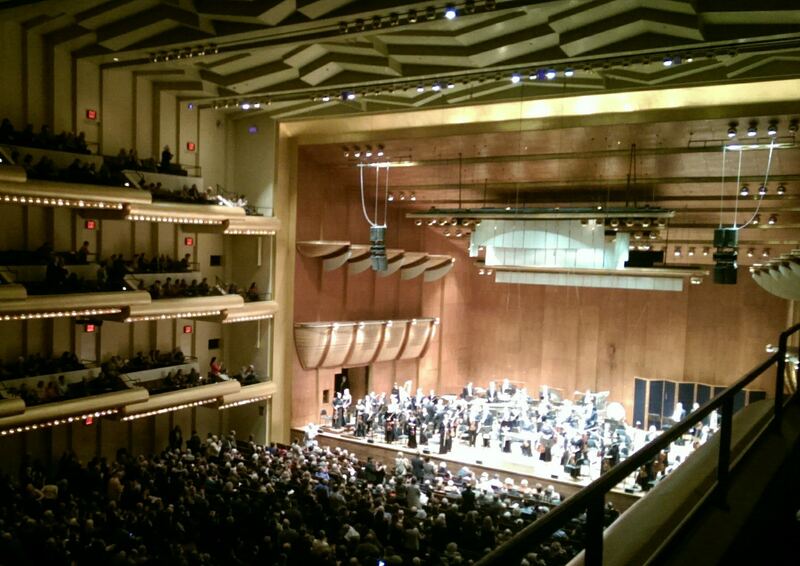 Slatkin’s liveliness on stage, especially his ability to speak informally to the audience, was a pleasure to watch. Aaron Copland’s El Salón México was the first work performed, inspired by the composer’s first trip to Mexico and the spirit of the country. It was followed by Christopher Rouse’s Flute Concerto, a more recent piece, composed in 1993 by Rouse, who is the Marie-Josée Kravis Composer-in-Residence. The featured soloist was Robert Langevin, the orchestra’s principal flutist. Following intermission, the concert resumed with the composer, Leonard Slatkin, addressing the audience and speaking briefly about the pieces that the orchestra was about to play: the French composer Maurice Ravel’s Gaspard de la Nuit and the wildly famous Boléro. Slatkin explained the issues involved in orchestrating Gaspard de la Nuit and the different paths that could have been taken. The version heard at the concert was orchestrated by Marius Constant, who found a way to maximize Ravel’s composition, which was inspired by three of Aloysius Bertrand’s dark poems. 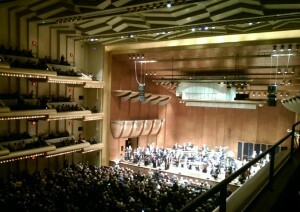 Boléro, however, was by far the most well-received work at the concert. The piece, which had originally been created for the Russian dancer Ida Rubinstein, is one of the most famous crescendo works and has only one movement, consisting of a single theme that is repeated numerous times without any major difference other than the orchestra being increased gradually until it reaches a rousing crescendo that brings the audience to its feet in wild applause. For most, this piece was probably the highlight of the night, judging by the deafening applause and cheers as it came to a close.